The number of pigs slaughtered in Spain each year outnumbers the country’s population, new figures show, as the government pledges to crack down on the growing environmental threat from the meat industry. According to a 2017 government report, the number of pigs killed in Spain topped 50 million for the first time, with the Spanish population currently numbering 46.5 million. 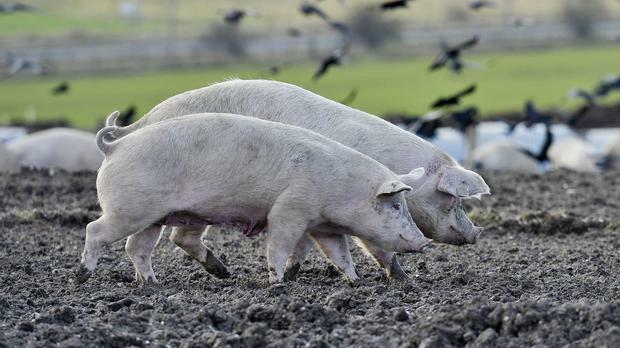 A boom in pork exports, particularly to meet China’s insatiable appetite for the meat, has led to a massive increase in factory-farmed pigs in Spain, with around 30 million animals being fattened at any one time in a sector worth €6bn in 2017. Total production of pork meat has grown by 20pc in the past five years to reach 4.3 million metric tons. The boom in livestock farming means agriculture is now the fourth-largest producer of carbon emissions, with 10pc of the national total, exceeded only by transport, electricity generation and industry. Environmentalists warn of serious damage if factory farming is allowed to grow further. One pig will consume 15 litres of water a day, meaning the industry uses more water than the cities of Seville, Alicante and Zaragoza combined. Nitrates from animal waste are also beginning to contaminate groundwater.